Your custom blend has arrived. 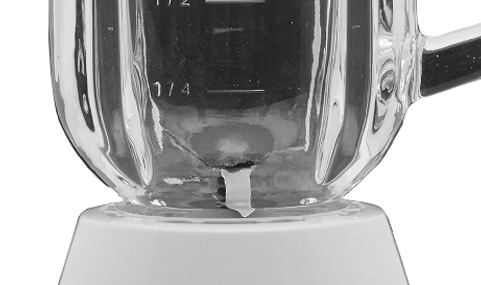 A streamlined design brings precision to the helm of your kitchen with a uniquely shaped jar that keeps ingredients in the path of the multi-level stainless steel blades for a quicker, more consistent blend. 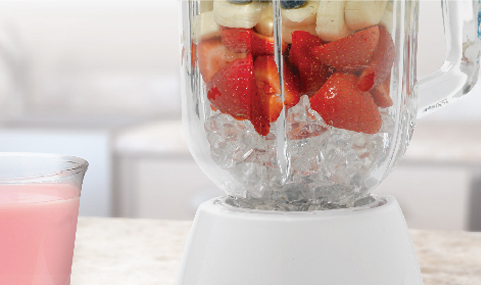 Dive in to fresh salsas, nutrient-rich smoothies, rich stews and more with 10 speeds and 550 watts of unbeatable power. 8.3 x 9.5 13.4 in. Customize anything you make with the vast array of speed options. Whether you want your smoothie to have whole fruit pieces or a completely smooth finish there's a speed for every result. The sturdy quality ensures everything stays in place. The generous size lets you blend everything right without worry. Plus you can always make enough for the whole group! The 1.5-ounce measuring cup is great for making the perfect mixed drinks and smoothies. When you're done measuring just pop it back into the blender's lid and blend.